Have you ever wondered what was going on in the house located on the SNU campus on the corner of N. Peniel Ave and N.W. 41st St? Positioned on the east side of the campus across the street from the W. Don Beaver Science Hall sits the SNU VETS (Veterans Educational Transition Success) Center. The former International Building that was donated to the university by the Beaver family years ago now serves as a facility to assist veterans in pursuit of their degree. When asked if all universities have a VETS Center, Davis explained that “We are 1 of 13 VETS Centers in the United States who have received the Federal Grant to start and sustain a facility. What makes SNU’s center different, is that it is meant to be a one-stop shop.” From my personal experiences, I can attest that this center is truly one of the best that I’ve had the privilege to visit. 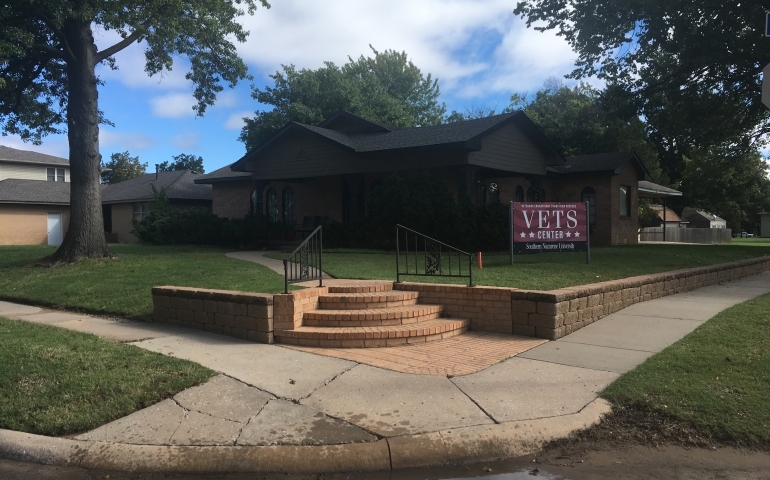 The VETS Center’s usual business hours are Monday – Friday, 8 A.M. to 5 P.M. The facility is manned with a highly experienced and friendly staff that is always eager to help any way they can. If interested in further information or details, contact one of the representatives by calling the office at (405) 491-6317, visiting www.snu.edu/veterans or simply stopping by the VETS Center. Anthony is a sophomore Sports Management - Sports Communications major from Moore, Oklahoma. He recently retired from the military after a 20-year career. He enjoys hanging around family and friends while watching sports, listening to music and sports radio, playing sports video games, reading sports articles, and talking about sports. Not surprising to anyone, he plans on working in the sports world after graduation.